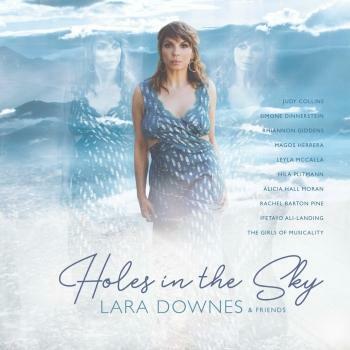 Pianist Lara Downes presents a recital of solo piano music by women composers, celebrating her Sony Masterworks album Holes in the Sky. "I want real things - live people to take hold of - to see - and talk to - music that makes holes in the sky - I want to love as hard as I can." - Georgia O'Keeffe Holes in the Sky is a genre-fluid collection of music written and performed by today's leading female artists, celebrating the contributions of phenomenal women to the past, present, and future of American music. This music tells the story of what women and girls can contribute to the world when they are given a chance - their dreams can make holes in the sky. 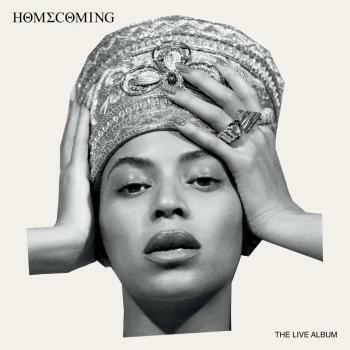 The album is presented in support of with PLAN International Because I Am A Girl, supporting the rights and empowerment of girls and young women around the globe, and Women's Empowerment, ending homelessness one woman - and one family - at a time. Music by Margaret Bonds, Judy Collins, Jennifer Higdon, Billie Holiday, Mary Kouyoumdjian, Joni Mitchell, Meredith Monk, Paola Prestini, Florence Price, Hazel Scott, Nina Simone, and many others. Downes is the 2016 laureate of the Sphinx Organization Medals of Excellence award, recognizing her influence as an extraordinary artist of her generation and her leadership in expanding audiences for classical music. 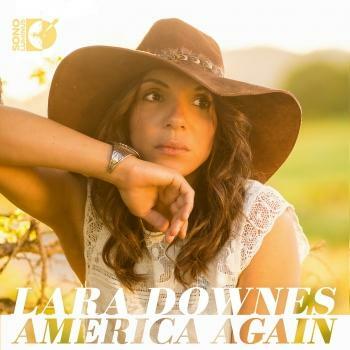 Born in San Francisco and raised in Europe, Downes' musical outlook reflects the diversity of her personal heritage and extensive travels. Her interest in connecting music to a wide and inclusive breadth of human experience mines her own mixed African American and Eastern European background and the impressions of her transatlantic adventures to produce a unique range of creative projects, from an exploration of the music of Jewish composers in exile to a centenary tribute to Billie Holiday, from an intimate portrait of the marriage of Robert and Clara Schumann to a sweeping look at the musical breakthroughs of the American 20th Century, all captured with timeless relevance and a deeply personal style that the Huffington Post has called "addicting - Downes plays with an open, honest heart." Downes' European training under Hans Graf and Rudolph Buchbinder led to early debuts at the Queen Elizabeth Hall London, the Vienna Konzerthaus and the Salle Gaveau Paris, and has won over audiences at diverse venues ranging from Carnegie Hall and the Kennedy Center to Le Poisson Rouge and Classical Revolution. Recent performances include the San Francisco Chamber Orchestra, Bargemusic, San Francisco Performances, Maverick Concerts, the Montreal Chamber Music Festival, Portland Piano International and the University of Washington World Series, among many others. Her musical collaborations include diverse partnerships with artists including cellist Zuill Bailey, violinist Rachel Barton Pine, the Brubeck Institute Jazz Quintet, the Musical Art Quintet, composers David Sanford, Benny Golson, Daniel Felsenfeld, Mohammed Fairouz and Daniel Bernard Roumain, and former U.S. Poet Laureate Rita Dove. Her original solo performance projects have received support from prominent organizations such as the National Endowment for the Arts, the Barlow Endowment for Music Composition, the Mellon Foundation, the Center for Cultural Innovation and American Public Media. Lara’s solo recordings have met tremendous critical and popular acclaim. Exiles’ Café (Steinway & Sons, 2013) topped the bestseller charts and was called “ravishing” by Fanfare magazine. Some Other Time (Steinway & Sons, 2014), a duo recording with cellist Zuill Bailey, debuted in the Billboard Top 10 and was called "luscious, moody and dreamy" by the The New York Times. Her recent chart-topping release, A Billie Holiday Songbook, has been embraced by both jazz and classical critics and listeners, called “possibly the most intriguing Holiday tribute” of this centenary year by Jazz Weekly. Lara’s live performances and recordings are heard regularly on national radio programs with features including NPR Music, Marketplace, Performance Today, Sirius XM Symphony Hall, WNYC's New Sounds, and WFMT’s Impromptu. She is the producer and host of The Green Room, a radio show about the lives of classical musicians, distributed nationally by the WFMT Network. Her writing has been published in Listen Magazine, The Rumpus, Arts Journal and San Francisco Classical Voice. She is the founder and director of The Artist Sessions, a pop-up concert series featuring international soloists and ensembles at the forward edges of classical music. Lara serves as Artist in Residence at the Mondavi Center for the Performing Arts, UC Davis where she mentors the next generation of young musicians as Director of the Mondavi Center National Young Artists Program. 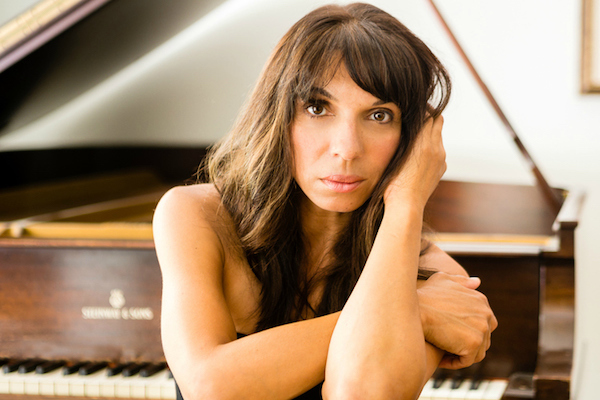 She is the Founder and President of the 88 KEYS Foundation, supporting arts education experiences in California public schools through instrument donations and teaching artist presentations.